One of the greatest gifts we can give our children is an appreciation of nature. Taking them on day hikes into the woods will give them much-needed exercise and also fill their hearts and souls with the gifts that only the wilderness can give them. If it is nature you want then there is no better place than Mt. Rainier National Park. 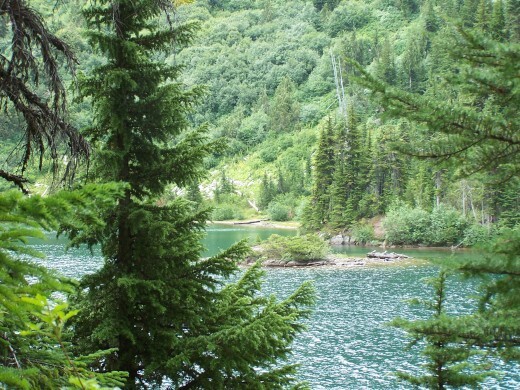 With towering fir trees, abundant wildflowers, flowing rivers and pristine alpine lakes, Mt. Rainier is a nature-lovers paradise. July and August are the months that are best for day hikes with your kids. Because of a yearly abundance of snowfall, many of the trails are not accessible until late summer. By then the snow has melted, the flowers are blooming and a full appreciation for this beautiful oasis can be attained. If your children are new to hiking it is best to start out with fairly easy hikes. There is no sense in attempting difficult hikes with major elevation gains. Take them on some fairly easy hikes to begin with so that they can enjoy their time rather than struggle and be discouraged. Once they have gained an appreciation for hiking then you can move on to some of the more difficult hikes. Luckily, Mt. Rainier National Park has a great many easy day hikes for your children to enjoy, hikes with very little elevation gain and yet offer maximum scenery for those novice hikers. What follows are five hikes guaranteed to be enjoyable for the whole family, offering pleasurable experiences for each member, young and old. 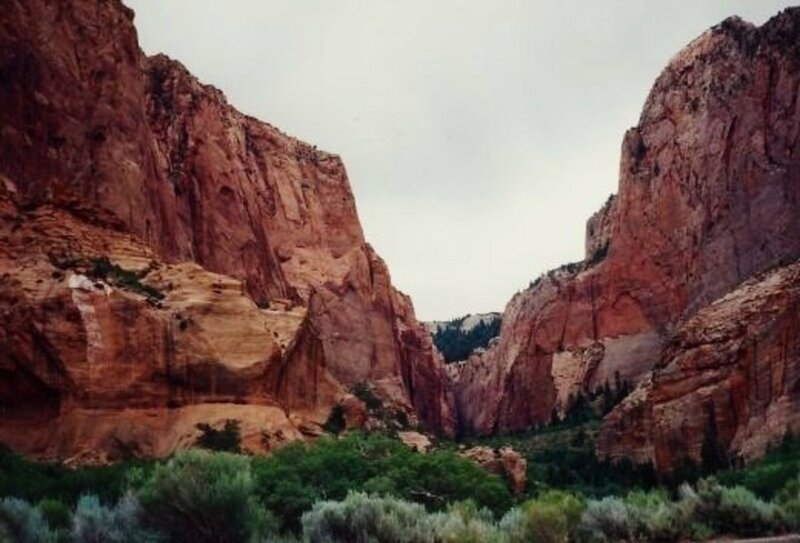 No special equipment is needed for these hikes. No special hiking boots, no heavy backpacks and no technical skills are required. Mt. Rainier can be unpredictable, as can any major mountain in the United States. The weather follows no pattern and even though the temperature may be warm and inviting as you leave home, you may find considerably cooler weather on the mountain and in the park. When hiking at Mt. Rainier always dress in layers. The general rule is to be prepared for the worst and enjoy the best. Rain gear is suggested as is fleece outerwear. If you don’t need it, fantastic! If you do need it you will be mighty glad you have it. Waterproof boots are nice but in truth the trails that are mentioned below can be hiked easily in athletic shoes. Remember, also, that what you pack in needs to be packed out. Take snacks and a lunch along but please make sure you bring everything back out with you. The park is there for all to enjoy so leave no mess behind. Also, don’t forget your camera and binoculars. The sights are many and the photo opportunities are endless. 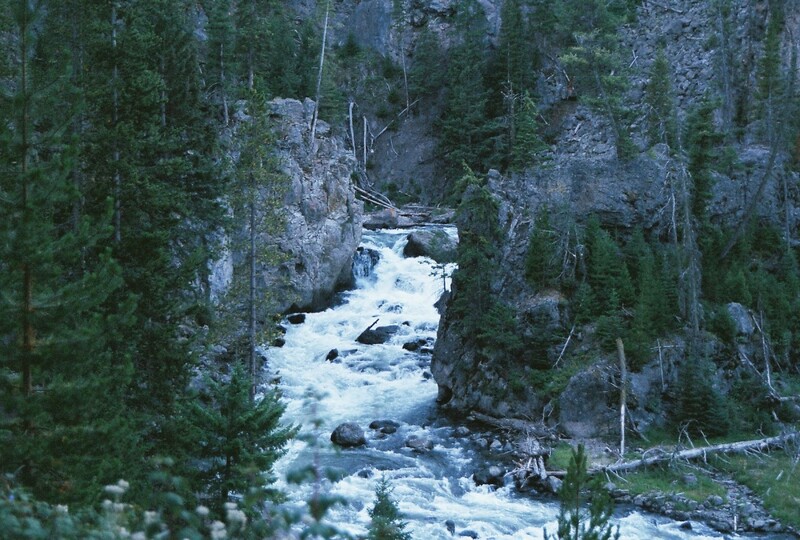 Having said all that, here are five great hikes for children in Mt. Rainier National Park. This hike is a great way to introduce hiking to even the youngest member of your family. 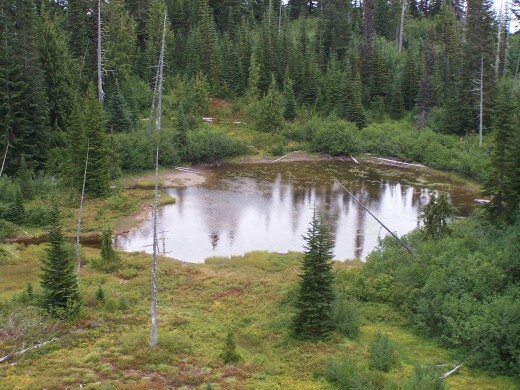 An easy 0.7 mile hike with no appreciable elevation gain, the Trail of the Shadows is a stroll through dense forest with views of beaver dams and an old homestead cabin dating back to 1888. To reach the trailhead drive to the Nisqually entrance and continue on to Longmire and the National Park Inn, elevation 2,750 feet. The trail begins right across from the Inn and is clearly marked. If you desire a booklet showing the trail, one is available at the trailhead. To follow the map go counter-clockwise on the trail. Total time for this hike is thirty minutes; of course, the time will vary according to how leisurely you want to hike and how many times you stop to take some great pictures. 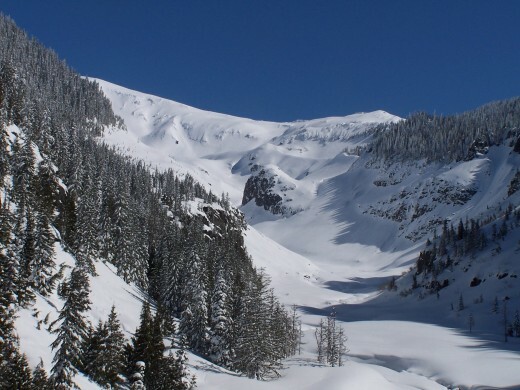 For a great look at an alpine lake and a great view of the mountain, plan a trip to Tolmie Peak. This is a slightly more difficult hike with an elevation gain of 1,200 feet going in and 200 feet coming out, and it is only accessible once the snows melt in mid-July. The total distance that you will be hiking is 7.2 miles and it should take you approximately three hours round trip, but plan on longer because the views are breathtaking. To get there, drive through Buckley and Wilkeson to the Mowich entrance and continue driving to the end of the road at Mowich Lake. This is an unpaved road so plan on a slow drive but it is well-worth it. Once at Mowich Lake you will see the trailhead to the left of the road. You will pass through forest and at 1.6 miles you will cross Ipsut Pass and then descend to the Carbon River and eventually Eunice Lake, as pretty an alpine lake as you could hope to see. Make sure you continue on to the lookout cabin on Tolmie Peak for great views of Mount St. Helens, the Olympics and Mt. Baker. The mountain meadows are beautiful with wild flowers galore. 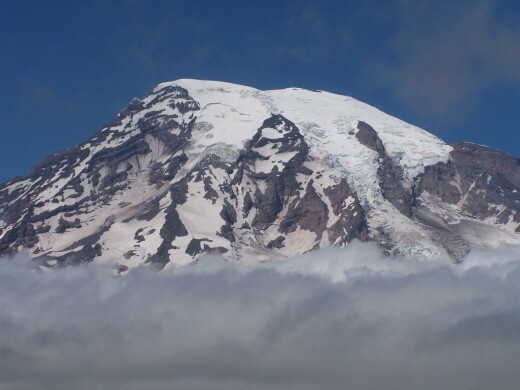 Take a look at the other side of Mount Rainier. There are a series of nature trails accessible from Sunrise Lodge. To reach Sunrise enter the park at the White River entrance and follow the signs to the Lodge. 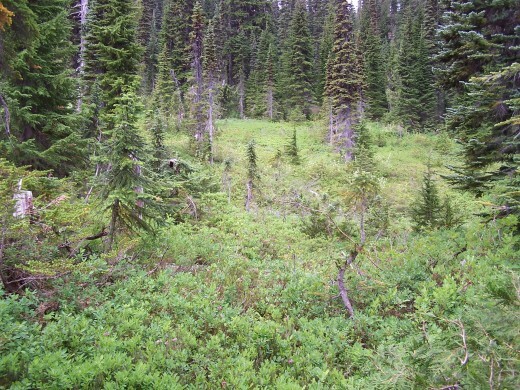 · Sourdough Ridge Nature Trail….an easy stroll through mountain meadows with great views of the mountain. · Emmons Vista Nature Trail….a great view of one of the largest glaciers on Mt. Rainier. · Silver Forest….continual views of the mountain and a walk through a forest that was killed by fire and bleached by the weather, thus rendering it silver in color. · Sunrise Rim Trail….the longest of these hikes but the view from atop the ridge offers unparalleled views of the valley, the mountain and picturesque Shadow Lake. Five sites that are an absolute must if you visit Washington State. A nice three mile hike available from May through November, this trail offers a lovely walk through tall forest and provides a great view of one of the prettier waterfalls in the park. The elevation gain is only 300 feet and the entire loop can be done in an hour-and-a-half if you don’t stop to enjoy the scenery. Drive to the Ohanapecosh Campground and Visitor Center and find the trailhead behind the center. There are several junctions on the trail but signs will keep you on the path to Silver Falls. Your constant companion will be the sound of the Ohanapecosh River; you will also cross Laughingwater Creek and enjoy a scenic overlook at the top of the falls. This is a very easy hike but one that offers quite a bit in the way of varied sights, a great introduction to a forest habitat. This is an end-of-the-season hike; until late July there will still be parts of the trail under snow and other parts quite muddy. Once on this hike you will find an elevation gain of only 400 feet in and 300 feet out and the 2.6 mile trip should take about two hours. And what a lovely hike this is! From Longmire head towards Paradise and turn off on the Stevens Canyon Road. Three miles down this road you will find the trailhead. The kids will be treated to not one but two alpine lakes, great meadows and towering Unicorn Peak rising above. At Snow Lake you can even see Mt. Rainier reflected in the lake. There are some great places to stop for a picnic lunch but be prepared for the ever-present jays who consider any hiker’s lunch their own. Mt. Rainier is one of the jewels of the National Park Service and as such needs to be seen and appreciated by kids of all ages, whether five or sixty-five. Put together a nice lunch, toss some extra clothes in a daypack, and drive to the park this summer for a great family outing. You won’t be disappointed! 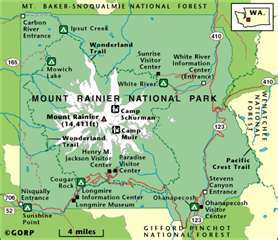 For more information about Mount Rainier, including weather conditions and park fees, go to their website at http://www.mount.rainier.national-park.com/. Peggy, I hope many parents take advantage of this great park; it is a joy seeing young kids on the trails. Thank you so much for linking. You are so right in that it is important to introduce children to the beauty of nature. I just linked this wonderful hub to my latest...that of The Majesty of the 3 National Parks in the State of Washington. It will be a nice addition. Up votes and sharing. mperrottet, the snow is still there! :) We are waiting until August to go hiking this year; there was a great deal of snow over the winter and most of the trails are still white. Thank you once again for your visit! Nice hub. 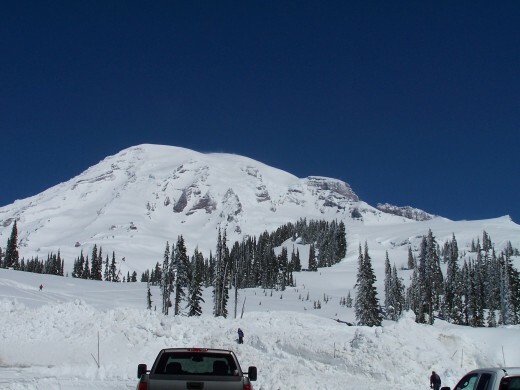 My husband and I visited Mount Rainier in 2010, and in fact I just wrote a post about the trip on my RV travel blog. We hiked on the Nisqually Glacier trail, and it was so much fun. There was still snow on the ground in mid July, which made it more interesting. Michigan, that would be a good idea. It is a rare day on the summit when it's warm and sunny! Thanks for stopping by. Great article. I will make sure that I have some waterproof boots and a winter coat if I ever try to tackle Mt. Rainier. Thank you mythical; it is a magical place to visit and I hope you make it some day. Lovely photos! I love nature and exploring the world around us. The beauty you have shown in these pictures and the information you have provided makes me want to get out there right now! Just beautiful! Radhikasree, you would love it. I hope one day that you will have the chance. This National Park looks awesome! The pictures are all wonderful and wish I had the chance to visit it in my life! Spy, I hope someday that you make it here. Snowdrops, you would love it if you ever visited. Thank you my friend. Wow! Nature is my favorite place to explore. I love your place Billy! Spy, you would love it here. If you ever visit us here I will gladly be your tour guide. wow! i love to hike..to camp..to explore nature. You really have amazing places to explore sir. I love it! Midget, give me a time and place and I'll be there with my guide clothes on. Thank you my friend! Will join you on a Mount Rainier hike when I get there! Thanks for the great information, Bill. Aurelio, the easier of those hikes could be done by kids seven or eight easy...I hope you make it up there...thanks my friend. I travel to Seattle often but have never made it up Mount Rainier. Your hub gives me a reason to try. But how old do you recommend kids should be before trying these trails? Voting this Up and Useful. Margarita, you certainly have some great hiking spots in Oregon only an hour away from wherever you are. I love Mt. Hood and the surrounding area. Thank you my friend; you are very kind with your words. Useful, beautiful and very interesting, I will probably wait a few years more before taking my kids hiking, but these places are so beautiful! One day we will take them there, thanks great hub! Dianna, I have stared at it most of my life and I am still in awe. The trail will be here waiting for you when you finally head west. Thank you! Trial of the shadows may be for kids, but that's where I would start. I love the mountains but not much on hiking those challenging trails. This mount has always fascinated me with it's majestic view. Banks, these really are very simple hikes with some great views. We had heavy snowfall this past winter so most trails are still dealing with snow, but hope springs eternal for those of us who love the high country. Sounds like some great hikes billybuc. My kind of hikes, hike in and hike out, and not too much elevation change. I don't get to Washington much, but if I do, I'll check these hikes out. Josh, you know darn well that TT is not going to change; you need to get with the program....her program! If TT says so then it must be so...she is, after all, my sister in crime! Yes, Josh, you can go! Pack your clothes and your lunch and let's do it! Yeah! I am up, I am up! :) Haha ok then! :) Be that way! Brenda, thank you! This hub is a bit out-of-character for me but I'm glad you enjoyed it. The mountain will be here whenever you are ready. I don't have any kids yet, and I still want to go on these hikes! I've always wanted to visit Mt. Ranier, but I just haven't quite made it yet. Another great hub billybuc!! Mary, that's one hike I would love to go on, with you and Paula supplying much-needed nourishment at the bottom of the hill. Thanks bud! Voted up, useful, and interesting. Shared with my followers. Paula, I could live with that deal, as long as the snacks are vegetarian in nature. Thanks buddy; you are one loyal follower and I am grateful. You even read my boring "evergreen" hubs. That is serious loyalty. TT??? VUMS???? What the heck does that mean? Are you speaking Alaskan today? And little hill? Oh my, didn't you wake up in fine form? Midget, it would be an honor to be your tour guide. Let me know when you finally arrive and we will work it out. A great guide to your little hill...oh, sorry, you call that a mountain. Beautiful pictures, though, and a very thorough and complete introduction to the various awesome trails. Great work. :) VUMS! Now, can you be my tour guide when I hit the US mainland? Haven't had the chance to go there yet! Thanks for the info, Bill!